*Disclaimer: I received this wine as a sample from the Terlato Wine Group. I’m feeling very non-committal about my wine selections these days. One day I’m craving the crisp whites I love, the net I want a huge red wine. Must be the weather which will not make up its mind as to weather we are still in winter or have moved onto spring. My poor bulbs that are popping up, I hope they survive this cold snap. 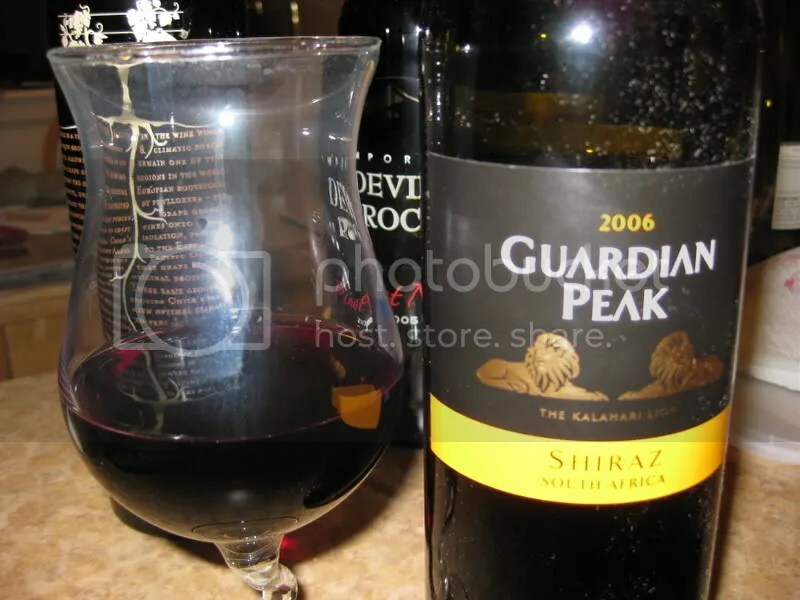 With that in mind, I chose the 2006 Guardian Peak Shiraz from South Africa to drink the other night. It had a screw cap closure, clocked in at 14.5% alcohol by volume, and retails for around $11. I know you can get the Wallaby wine for around $7 a bottle, but seriously, do yourself a favor and spend the extra $4 and get this instead. I loved the nose on this wine. It smelled of smoke, anise, cedar, earth, chocolate, funk in a good way, and the slightest hint of dark berries. It reminded me just a bit of some kind of pipe tobacco. 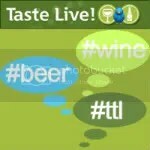 I found the wine to be very smoky in the mouth as well. I also got flavors of blackberries, black cherries, some strawberry, earth, and plums. 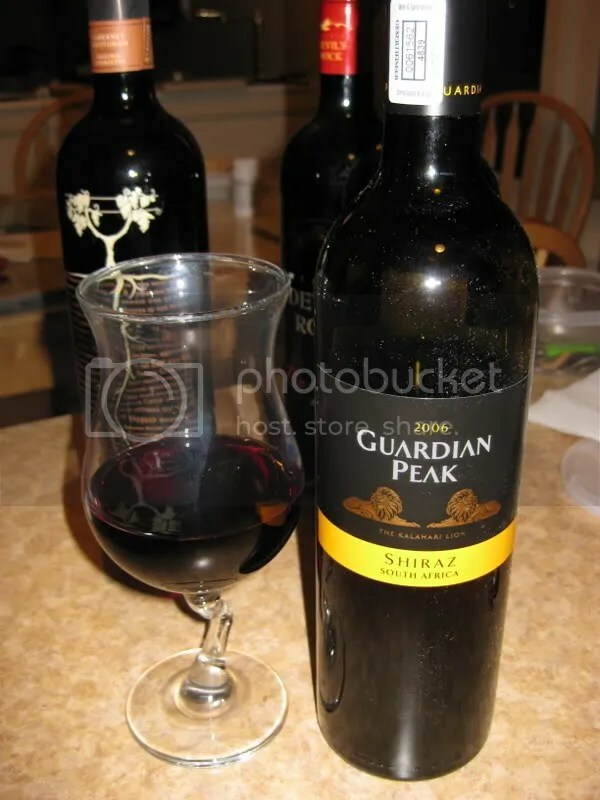 The fruit showed as quite tart, the wine had nice tannins, and good acidity. Serve with your favorite BBQ.